During the spring time, at Texas Orthopedics, we are often busy helping our young athletes recover from baseball, softball, lacrosse, track and field, and other sports injuries. 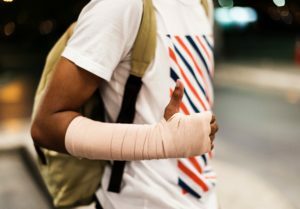 In total, there are more than 2.5 million ER visits annually due to a sports-related injury in adolescent and college-aged kids, and many of them are orthopedic ones that require surgery. A common question that we are asked by parents, or patients themselves, is how soon after a sports surgery can you return to school? While every patient’s recovery time is unique, there is new research, recently shared at the 2019 Annual Meeting of the AAOS (American Academy of Orthopaedic Surgeons), that provides clearer recommendations per the type of surgery. The study evaluated 101 patients between the ages of 14 and 25 who were enrolled in middle school, high school, or college. All of them had sports injuries and had undergone surgical procedures, including ACL reconstruction, meniscus repair, arthroscopic shoulder repair, and arthroscopic hip repair. They were surveyed two, six, and twelve weeks out following surgery about their personal timelines and challenges associated with returning to school. Following ACL surgery, the average return to school took place between 1 and 14 days. Following shoulder repair, the average return was between 1 and 9 days. Following hip repair, the average return was between 3 and 16 days. The top two challenges cited for not returning to school sooner were pain and restricted mobility. It is always a good idea for parents and students to stay in close contact with teachers while recovering to prevent falling behind academically. You might also scope out your school’s accessibility before going back to find alternate ways to maneuver around things like crowded hallways and stairs if necessary. When to return to playing regular sports is an entirely different timeline and should be a discussion you have with your orthopedic specialist following prescribed rest and physical therapy. To make an appointment with one of our board-certified orthopedic surgeons in Austin, please visit us online anytime. Keep up with Texas Orthopedics news by following us on Facebook, Twitter (@TexasOrthopedic), and Instagram (@texasorthopedics). Patient Story: Thomas Goebel Back on the Court Thanks to Two Texas Orthopedics Physicians Six Tips for Safe Skiing Cycling and Softer Bones? What’s the difference between Golfer’s Elbow and Tennis Elbow?